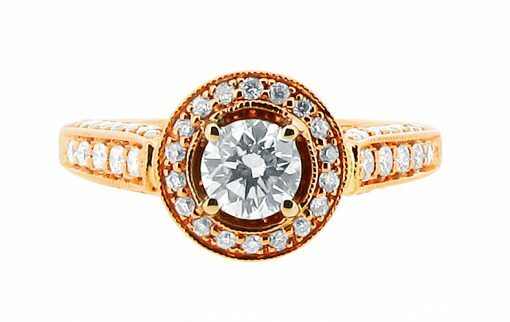 Inspired by the highly detailed styles of days gone by, this intricate engagement ring is sure to be a hit with lovers of antique style jewellery. Featuring a bead set diamond surround and shoulders, this ring can be made in the metal of your choice. 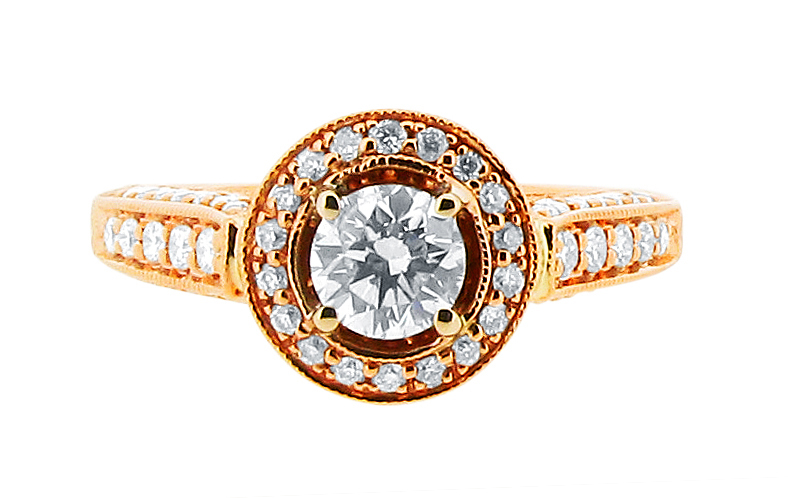 Handcrafted to perfection, this ring is sure to enchant and delight. We would be delighted to meet you to discuss your individual requirements. 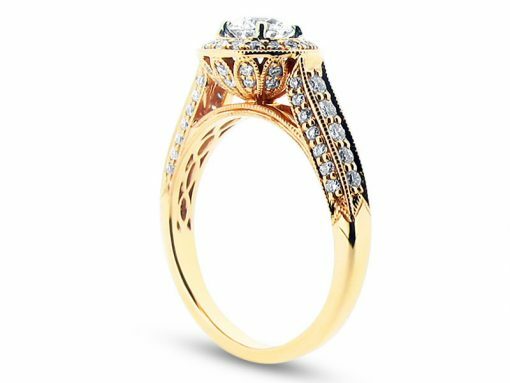 Please contact our office on 01-6778449 or info@voltairediamonds.ie to book your consultation in our relaxed Dublin based offices just off Grafton Street.